A girl next to me at the grocery store the other day had on the cutest yellow dress. She’d braided her hair in an intricate crown around her head and her winged eyeliner was on point. In short, she looked awesome. Four seconds into our wait, she smiled at her phone and snapped a selfie. The guy behind her rolled his eyes and may have even muttered something about the growing narcissism of the “selfie generation.” I mean, I didn’t exactly hear him, but he totally looked grumpy enough. It’s an observation I’ve heard and read about a lot lately. Some people equate selfies with being vain and narcissistic. 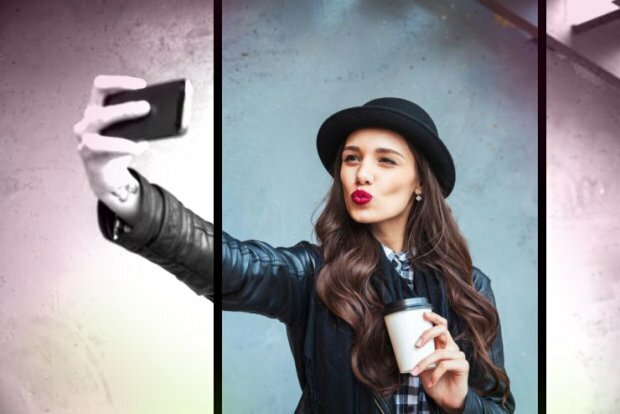 Given the way these articles talk about people snapping pictures of their faces all day, it’s easy to see why selfies are associated with the self-absorbed. But people who frown every time they see someone take a picture of themselves are missing the point. Taking a selfie and sharing it is, first and foremost, an act of self-love. It’s a moment you wanted to preserve, a day you felt confidence in your appearance. Group selfies capture close friendships—quite literally, with everyone crowding to get in frame. Solo selfies capture happiness and self-confidence. Call me crazy, but these sound like feelings worth celebrating. 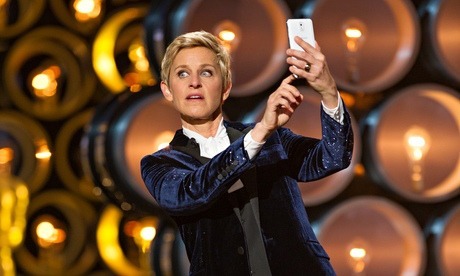 Ellen DeGeneres at the Oscars–a moment worth documenting! Posting a selfie on social media is the traditional next step. Here again, cries of narcissism and vanity lurk in the comments section. By sharing a moment in which you felt confident, you pass on a message of confidence to your friends and followers. And don’t stop at your own selfies. Appreciating the beauty that others feel in themselves is just as important. My best friends are gorgeous and live far away: their selfies never fail to brighten my mood. Let the moments when other women felt good inspire you to see beauty in others. It can only lead to seeing beauty in yourself. Taking a selfie and sharing it is, first and foremost, an act of self-love. Sharing selfies does more than just give you a confidence boost, though. 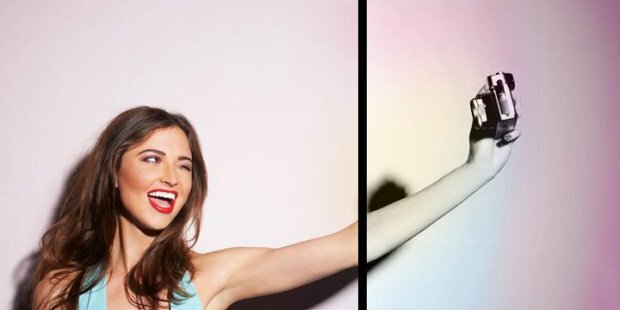 By papering the Internet with mostly unedited images of women, the selfie trend is the first step in reversing what Photoshopped advertisements have done. Instead of preying on women’s insecurities, selfies thrive on our confidence. The influx of women feeling good and sharing the feeling with their friends spreads a positive message across a medium traditionally used for body shaming. It’s the first step towards tossing aside Photoshopped beauty ideals and embracing self-confidence instead. The best way to contribute to the movement is to take genuine selfies in moments when you feel beautiful or happy. Don’t self-objectify by Photoshopping or hyper-sexualizing your selfies to match magazine models. Don’t use selfies to get likes and combat your insecurity. It is possible to go overboard, so make sure that you’re not flooding your Instagram or letting selfie-snapping take over every moment. Instead, make sure that every selfie you take and share is one that celebrates a feeling of happiness, confidence, and love. Enjoying those moments is the first step to building more happiness, confidence, and love in every aspect of your life. Make sure that every selfie you take and share is one that celebrates a feeling of happiness, confidence, and love. Selfies are hardly a new trend: people have been getting in front of cameras for a long time (and, before the camera, commissioning portraits of themselves). But never has it been more important. Those who cry “Narcissist!” when they see someone holding their phone out at arm’s length and smiling don’t understand the importance of the movement. It’s more than just the moment you feel cute, though that is the foundation. It’s about spreading self-love and celebrating the beauty in you. What could be more worthwhile than that? What prompts you to take a selfie and share it? Personally, I don’t think selfies are vain. Like come on, they’re just photos that we take when we feel prettier than the usual. What the article was trying to say too is that selfies are supposed to make us feel like we’re celebrating confidence. There’s so much advantages to social media like promote businesses, share photography BUT when people misuse social media to bully, threaten or fierce battles for followers and likes its vanity . we get it.. a selfie: is pre-pubescent, adolescent or “grownup”; pooping and peeing,and saying “look at me ,look at me,what great power have i”! Even selfies are edited nowadays. Come on ladies, love yourself more and don’t put filters on it anymore. How can you feel like you love yourself when you always try to alter what you look like? You can never learn to appreciate yourself if all you do is filter your face. You’ll learn to hate the slightest blemish or the uneveness of your skin tone. Happened to me before so I tried deleting my filter apps. I don’t mind editing the lighting and the colors, but no skin enhancing anything. Fortunately, not all that generation is victim to the self-reward machine. ( Yes the mouse dying from ‘the pleasure button’ image intended). I love selfies because after a while, they become a collection of memories of the moments that I felt beautiful.